​This section has a strong link to the Geography IA. Channel shape: this is the shape of a cross section through the river channel itself. It is about the width and depth of the channel. Valley profile: this is the shape of the valley on either side of the river channel. 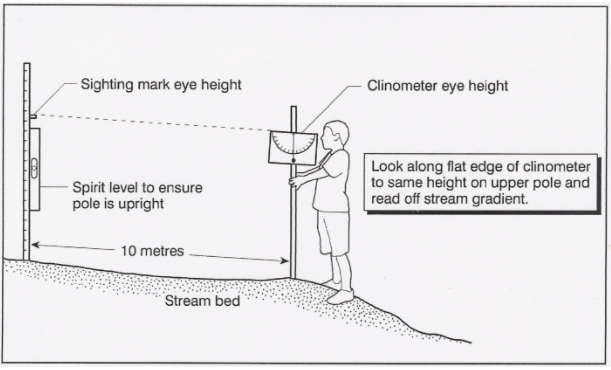 The measure it, we need to be able to measure the length and angle of the slopes perpendicular to the river. Gradient: this is the steepness measured in degrees of the river as it flows downstream. Velocity: this is the speed at which the water in the river is flowing, measures in metres per second. Discharge: this is the volume of water flow my past a given point in the river per second. It is measured in cubic metres per second (CUMECS). Sediment size: this is the mean size or the sediment carries by the river. 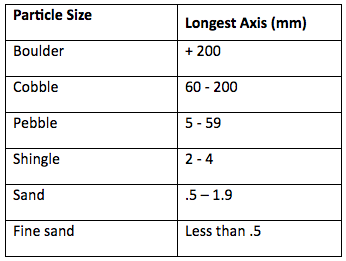 We measure it in millimetres or centimetres. We can examine the A-axis, B-axis and C-exis. Sediment shape: this is the roundness or roughness of the material carried by a river. It will be affected by attrition as the river moves downstream. Use the materials above to answer the questions below in detail and using diagrams to help. What is the Bradshaw Model? How does it help us understand how a typical river is expected to change from source to mouth? How can a simplified model help us to study and understand the real world? 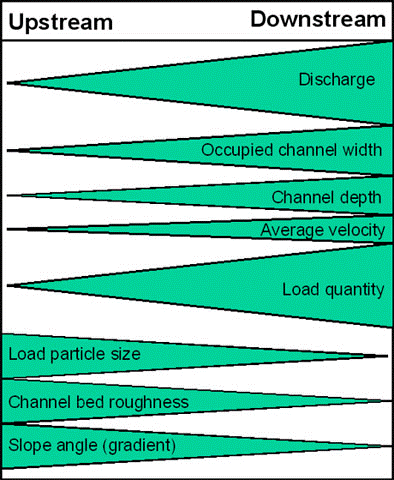 For each aspect of the Bradshaw Model and load roughness describe the following using diagrams to help: how does the Bradshaw Model suggest it will change as a river moves downstream? Why are these changes expected? 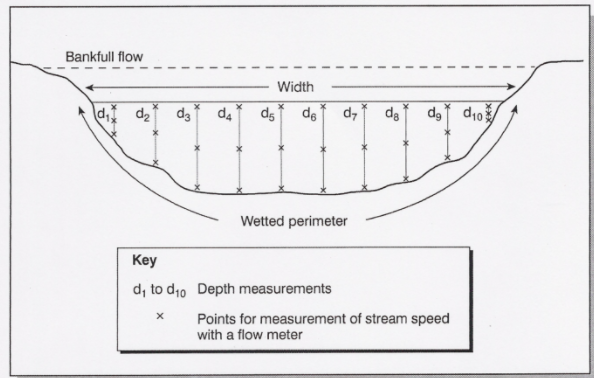 How would you measure this in the field to see if it applies to a particular river (use the file below to help). This is measured using a tape measure stretched across the channel. Measure the width across the surface of the water. Record the measurement on the recording sheet. Take the width of the channel and divide it into 11 equal parts. Measure the depth at the ten points across the channel. Always start from the same side; left or right when looking downstream. Record the measurements on the recording sheet. To measure velocity we use a flow meter. 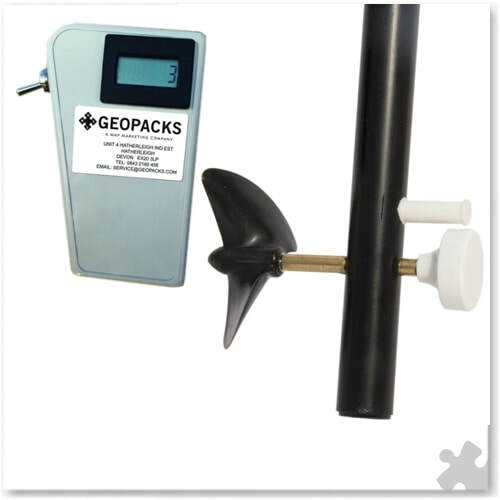 Using the flow meter measure the speed of the river flow at 5 equally spaced points across the channel. ​At each point measure the speed at the surface, half way between the surface and the bed and at the river bed. Sediment carried by the river is called its load. This will vary in size and shape depending on the hardness of the rocks and the time they have been in the river and affected by erosion (attrition). 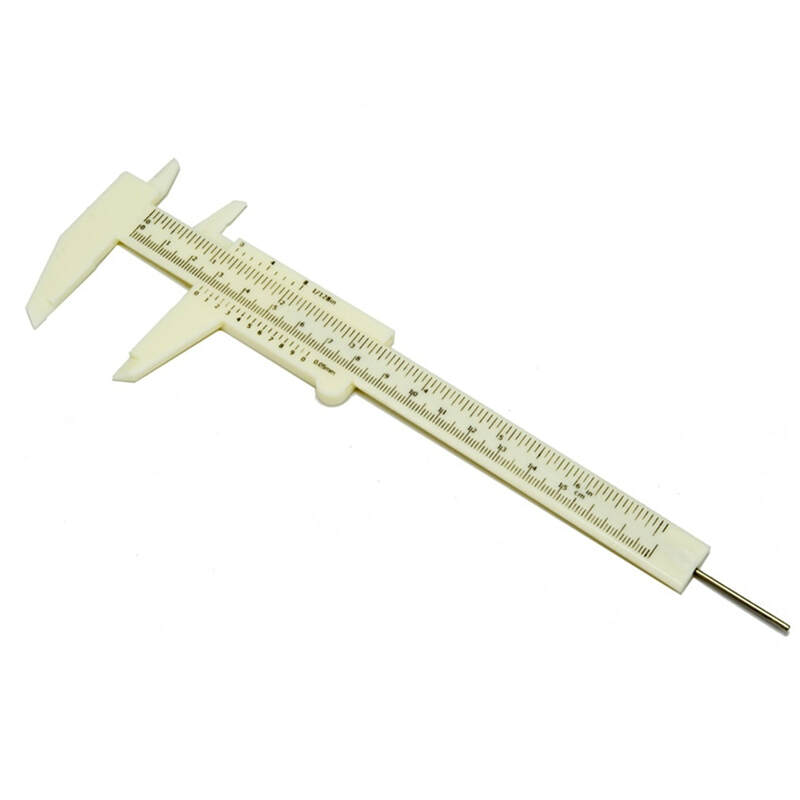 Sediment can be measured with rulers or calipers. Measure and record the length of the A, B and C axes (see diagram below). The gradient is the slope of the channel bed. This is important for river velocity and the flow characteristics of the channel. 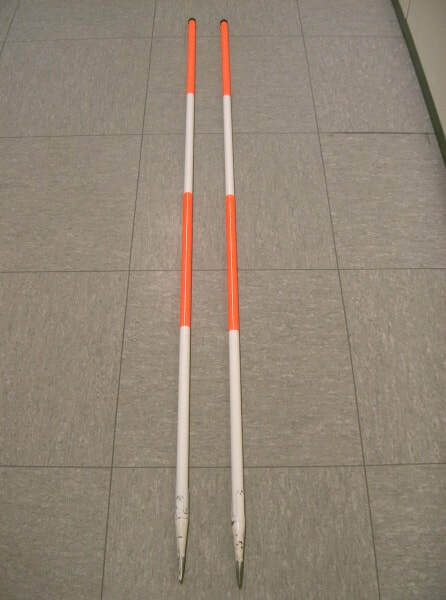 To measure gradient take two ranging poles and place them in the channel at a distance of 10 meters apart. 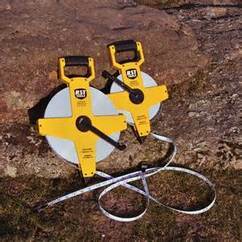 Use a clinometers to measure the angle between them. 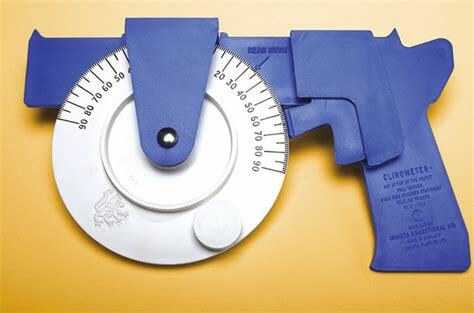 Measure the angle three times and calculate an average to avoid measurement errors. Record the measurements on the data sheet.